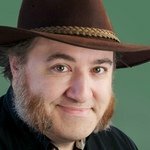 Chicago Sun-Times technology columnist and renaissance geek Andy Ihnatko rejoins us as various stuff hits the fan. Shadow ships on Mars? Shadow ships on Ganymede? A desperate mission into the solar system? Things getting worse at Earthdome? Yeah. Stuff meets fan. Hi there, I just wanted to say I just caught up on the episodes on this podcast and was very surprised it’s actually still going! ( I hadn’t looked at the dates) I started listening as a way to help myself sleep but now I might have to dust off my DVD set and join along the rest of the journey real-time. I’ve never been able to find another fan to discuss B5 with so this podcast makes me feel so much less alone in my love for the series so I wanted to say thank you all so much for doing this series! If only you guys decided to join Facebook!